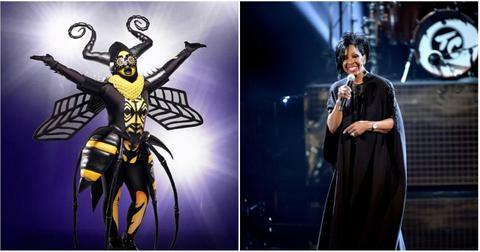 We're about halfway through the first season of The Masked Singer and several celebs have been unmasked so far. In fact, in the coming weeks we'll likely see the remaining singers all perform on the same night as we draw closer to the finale. If you need a refresher on who has yet to have their identity revealed, take a look at the remaining cast — and help us predict who will win the competition and become the last singer to unmask! So, who is left on The Masked Singer? The following six contestants are still a mystery, though we have some ideas about their identities. The Lion has attracted a lot of intrigue since she made her debut in the premiere episode. We're pretty confident in our prediction of her identity, but we think we'll probably have to wait a while to find out if we're right. 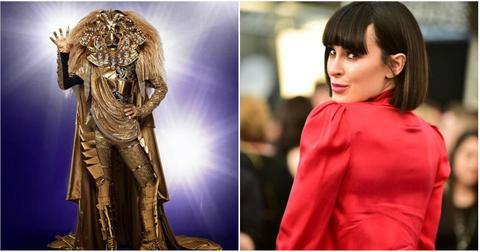 (In case you're curious, we think it's Rumer Willis.) UPDATE: And it was! 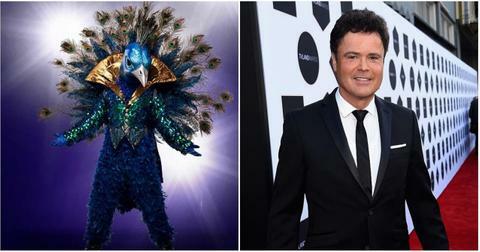 We're also been pretty sure about the Peacock's alter ego since jump, and with a strong Broadway voice, it's likely they'll make it into the Top 3. I'd wager good money the man behind the mask is Donny Osmond. UPDATE: We were wrong and Joey Fatone is a big liar. It turns out, despite his denials, that Joey was behind the Rabbit mask all along. 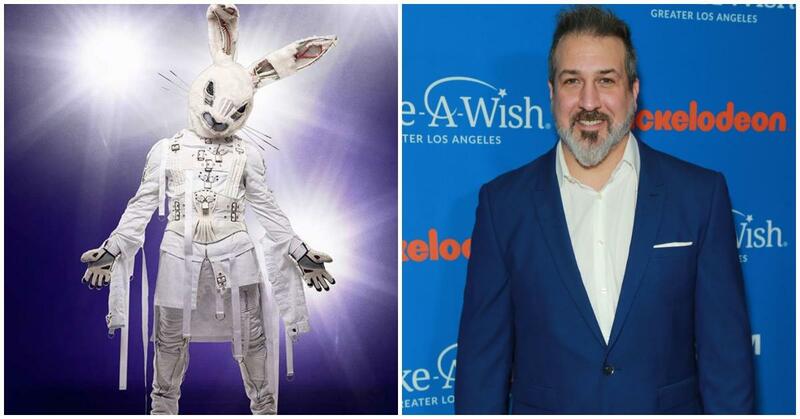 We were all convinced this straightjacketed jackrabbit was a member of NSYNC, but all signs seemed to point to JC Chasez. Another contender for winner, the Queen Bee — or should we say Empress? — who is almost undoubtedly the legendary Gladys Knight, and we expect she'll land at least in the Top 3 as well. If all six remaining singers are pitted against each other on the same night next week, I predict The Alien will be the next to unmask. 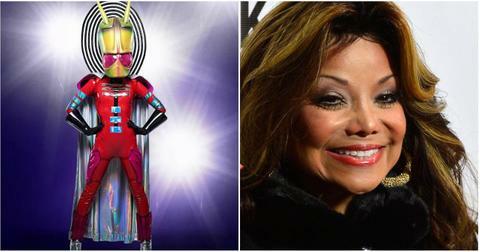 And I'm pretty sure it'll turn out to be LaToya Jackson. Nicole Scherzinger is with me on this. We nearly forgot about The Monster, who is surprising the panel with his soulful vocals. 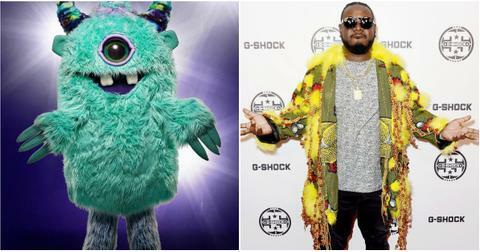 We're pretty sure he's not too long for this competition, and we're pretty certain he'll be revealed as rapper T-Pain. 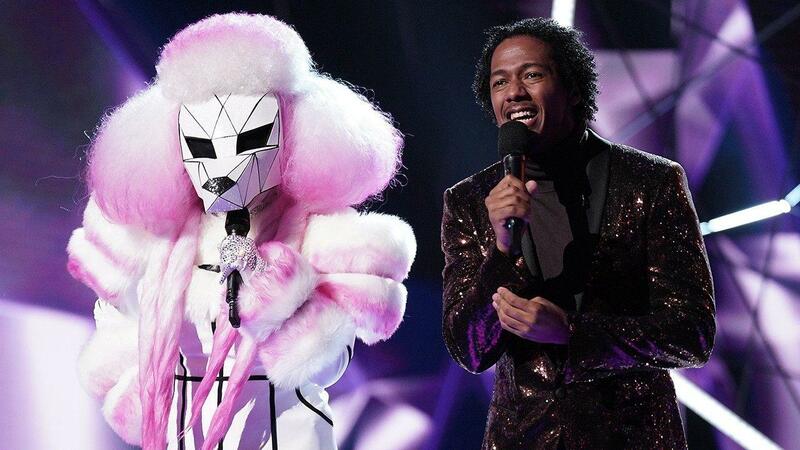 Who will win The Masked Singer? Yep, the show has been picked up for a second season! Fox announced on Jan 30 that they want more of this quirky competition and have ordered a Season 2. If viewers have been a bit underwhelmed by the star power of this inaugural season, we expect more illustrious names to come on board in the sophomore season now that it's a bonafide hit instead of a complete gamble. 12 Forgotten Reality TV Sidekicks — Where Are They Now?